Welcome to the BTE Racing Car of the Week series, where we feature our customers and fans, and the cars (and trucks) they love to race. 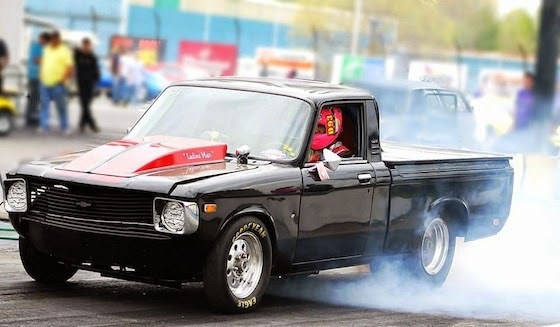 Today, it’s all about Chance Lykens from Lamar, MS and his 1978 Chevy LUV. I got into drag racing after my dad told me all his stories of driving for my grandpa. After my father died when I was 14 years old, my grandpa saw me in a depressed mood so he put me in our race truck. My first race was in September of 2010. 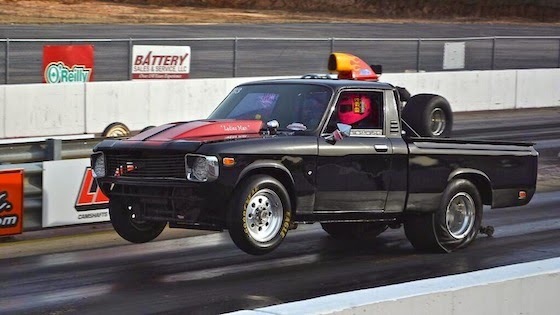 I race a 1978 Chevy LUV. The trucks nickname is "Ladies Man." A 406 Small block Chevy is our motor. All our products are from BTE, because they work great and BTE is five minutes down the road. We have great friends down there, and we know they are best at what they do. We use BTE because their products are durable. They withstand a bunch of torque and power. Our converter and transmission have lasted over five years. I look up to two main people. My grandfather who has helped me with everything he can. From putting me into a race car to helping with life. He's the only reason I'm racing now. I couldn't do it without "Pop." I actually also look up to a BTE employee. Bryan Robinson has been a really great inspiration for me. He's helped me with advice a lot and I even use his old fire jacket. He's a great bracket racer and it shows on and off the track. I'd really love to drive Chevy 2 or a dragster. I've driven a bunch of door cars, but I've never had a chance to hop in a dragster. I've driven my buddy, Jeremy Harrison's Chevy 2 a few times. It's a great ride and I love driving it. My pre-race ritual is pretty normal. I drink a lot of water and joke around with my 2 grandpas, Danny Lewis and Monkey Bolden. We look over last week's runs and ride the golf cart around the track.